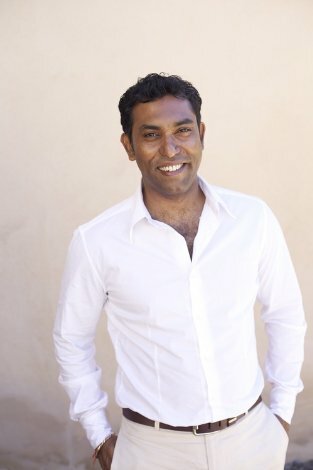 Often described, as a maverick, unconventional rebel Yogi, speaker, author, actor, workout junkie, coach and entrepreneur; Vish is a rare cocktail of spirituality, science and entrepreneur all rolled into one. By example of his own 30 year meditation practice, coupled with, being born into a Brahmin family lineage of several generations of Vedic Yoga scholars & masters in Southern India, Vish is a die hard believer that solutions to all human problems (including finding romantic love) lie in Yoga meditation and Yoga lifestyle. Given his degrees in fields as varied as biology, french and graduate degrees in information systems and business, it is ironical to see his extraordinary insight into the psyche of love. Vish’s strength lies in his intuitive ability to help anybody find love(even Miley Cyrus), no matter how many times you have failed in relationships. His optimism spills from his own experience and his unique scientific yoga methods of finding love. He has lived in India, Southern Africa and the U.S, presently lives in Los Angeles with his wife Deypika. He considers,getting laid off from his software consulting position as one of his greatest blessings. In his free time, he can be seen drinking chai, laughing, watching movies with his wife or boxing away in a MMA gym. His motto in life is “find happiness within first” all good things will follow.